Madrid – wonderful! The fabulous Prado Museum: Orestes and Pylades; The Three Graces; Dürer, Goya and many, many more. Why wouldn’t you accept an invitation to speak at a conference in Madrid? OK, it was going to be hot – 39⁰ is perhaps a tad higher than we would normally see in England. And as it turned out I didn’t see much of this beautiful city but the conference venue was marvellous and blissfully air-conditioned! The presentations were informative and the people lovely. As a title for summarising progress in economics research on child and adolescent mental health services (CAMHS), The State of the Art is a good choice. 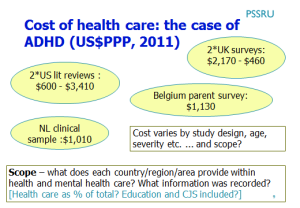 Much of what we do in looking at costs and outcomes is as much an art as it is a science. Yes, we are led by economic theory and methods – but the art is in making findings interesting to the wide range of stakeholders, not least helping them realise that it is not all about the money. 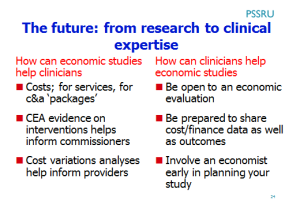 The main points I wanted to get across were that yes, it is complicated (but not impossible) and no, there are not enough studies to be sure of anything (yet) – not least because it is so difficult to combine service use or cost information across countries, further limiting the evidence base. 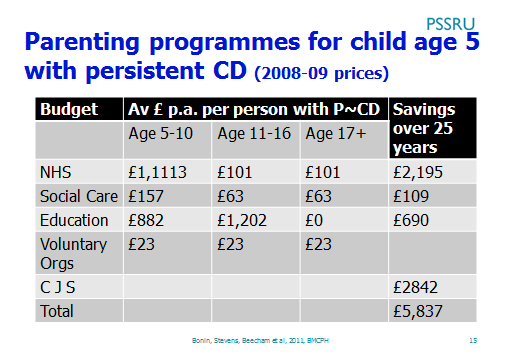 Recently, estimates of future cost savings from childhood interventions have become popular. These studies can show the broad impacts of an intervention when there isn’t any evaluative evidence. But in turn, this ‘evidence gap’ means it is difficult to find enough evidence to model all the impacts! This article discusses what we did to get to the costs shown in the table below. The Preventonomics work at the LSE branch of PSSRU also looks at these issues. I didn’t spend long extolling the virtues of cost-effectiveness analyses; it was neither the time nor place. 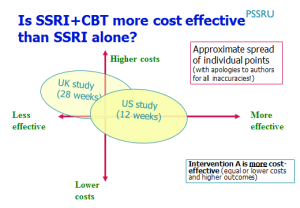 However, I used a cost-effectiveness plane to illustrate another challenge: dissimilar cost-effectiveness results from two similar studies. The ovals show where the cost/outcome data points fall. Ideally, all (new) interventions – whether in health, social care or education – should both work better for users AND cost less than the existing one. 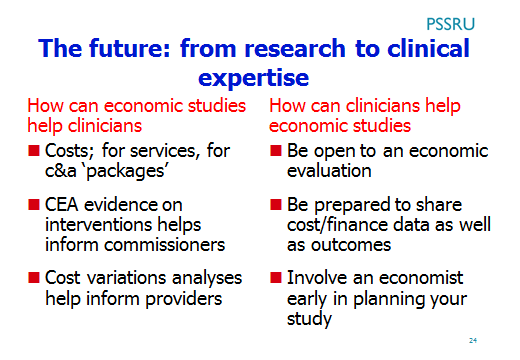 Titled “From Research to Clinical Practice: Linking the Expertise” the aim of the ESCAP Conference was to bring research and clinicians closer together. For my final slide, I tried to encourage people to think positively about including an economic component in their research. 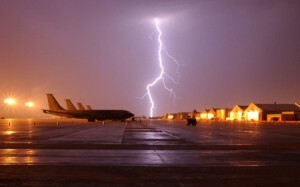 On the way home, following an … er… interesting airport meal we sat on the plane for an hour as the expected storm finally broke; rain lashing around us and thunder and lightning over the runway. Library image – not actual footage! I thoroughly enjoyed my air-conditioned days in Madrid’s 39⁰ heat. I was very pleased to see a large (for an economics presentation!) audience at my talk. They stayed awake (my first criteria for assessing the quality of my presentations! ), expressed interest, and asked good questions that stimulated discussion. Some attenders have been in touch since for more information, and I hope I inspired many more. There is plenty of demand for such findings, and too few completed studies. So, I saw no art in Madrid – no statues, no paintings, sketches or cartoons. I could order a print from the Prado Museum but it doesn’t feel quite the same. 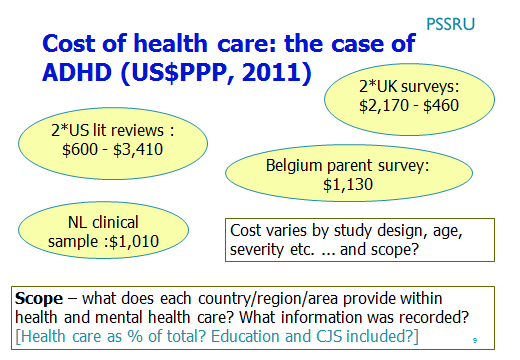 However, if you are more interested in CAMHS economics than art, you can download a copy of my ESCAP 2015 Conference presentation here.